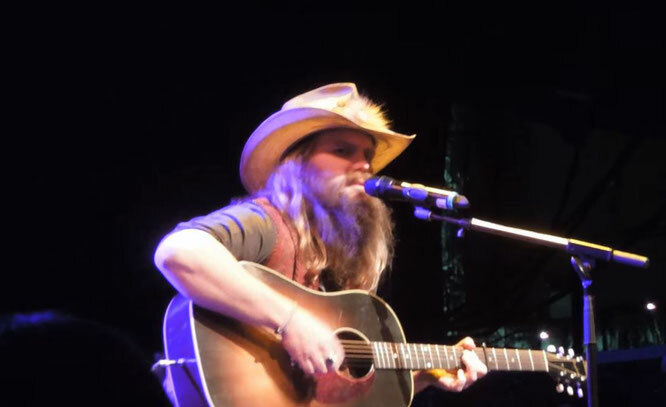 Chris Stapleton performs "Love's Gonna Make It Alright" Live Video. "Love's Gonna Make It Alright" is a song written by Al Anderson and Chris Stapleton, and recorded by American country music singer George Strait. It was released in November 2011 as the second single from his album Here for a Good Time. Christopher Alvin Stapleton(born April 15, 1978) is an American singer-songwriter and guitarist.Born and raised in Kentucky, Stapleton moved to Nashville, Tennessee where he started a career as a songwriter, contributing to the repertoire of numerous artists. As a vocalist, Stapleton led two music groups before releasing three studio albums as a soloist. His musical styles, which incorporate a wide variety of genres, include country music, southern rock and bluegrass. You are a long way from being where you want to be. Or whatever bad luck is getting you down. You can run to me. We can dance your cares away. We can watch them all fall out on the floor. And if you want to we can close it down. I'll chase you down the hallway. Watch the sun come up behind our bedroom door. That's the good thing girl about me and you.